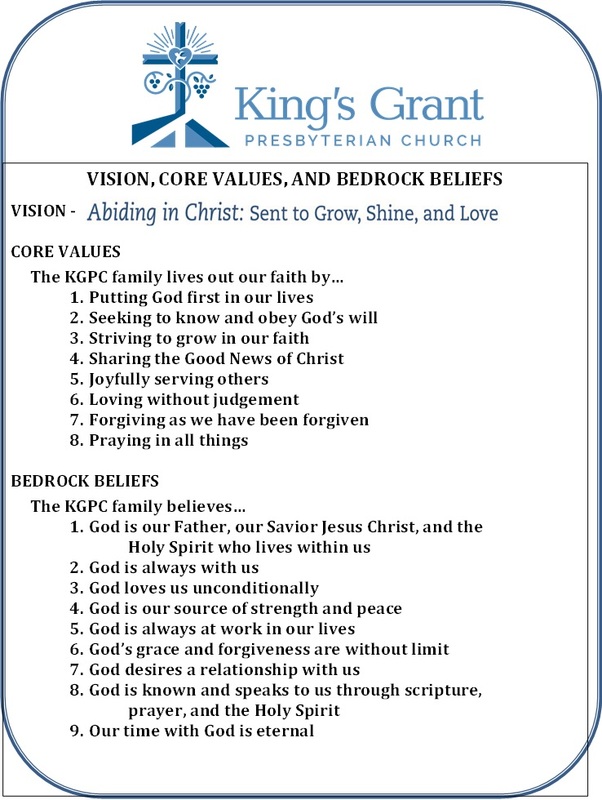 The vision of King's Grant Presbyterian Church is "Abiding in Christ" sent to Grow, Shine and Love. At KGPC, our mission is to celebrate God’s presence in our midst, worship God in the reformed tradition, preach the Gospel of Jesus Christ, teach through the study of God’s Word, reach out to serve the needs and concerns of our neighbors, and to listen carefully for the leading of the Holy Spirit in our life together. If you would like to learn more and join us in our vision and mission, send us a note or visit us this Sunday!